KYIV. Sept 29 (Interfax-Ukraine) – The launch of the Deep and Comprehensive Free Trade Area (DCFTA) on January 1, 2016 under the Ukraine-EU Association Agreement will open up new opportunities for expanding trade and economic cooperation between Ukraine and Austria, Ukrainian President Petro Poroshenko said at a meeting with Austrian President Heinz Fischer. “In this context, it was agreed to send the Austrian business mission to Ukraine headed by the [Austrian] Minister of Foreign Affairs,” the press service of the head of state has reported. The meeting was held during the UN General Assembly in New York. 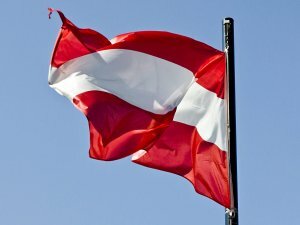 Fischer praised the decision of Ukraine to remove Austria from the list of countries subject to transfer pricing controls. Both leaders also discussed the implementation of the Minsk agreements. “It was emphasized that the democratic world must keep pressure on Moscow to ensure a complete ceasefire and create the conditions for the speedy reintegration of the occupied territories under the full sovereignty of Ukraine,” the press service said. Fischer reassured Poroshenko of his willingness to continue to provide humanitarian assistance to Ukrainian citizens in the Anti-Terrorist Operation zone. KYIV. 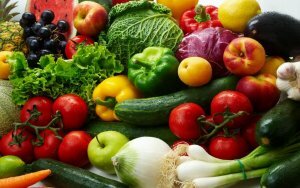 Sept 29 (Interfax-Ukraine) – Vegetable production in 2015 will tentatively reach 8.7 million tonnes, Agricultural Policy and Food Minister of Ukraine Oleksiy Pavlenko wrote on his Twitter page on Monday. “Tentatively, 8.7 million tonnes of vegetables will be received with consumption of 6.7 million tonnes (160.2 kilograms per person),” he said. Pavlenko added that the most of the vegetables will be used by households – around 7.4 million tonnes. As reported, referring to the State Statistics Service, vegetables were sown on 1.814 million hectares in 2015, which is 4.5% down on 2014. Potato harvest in 2014 totaled 23.7 million tonnes, which was 8.4% up on 2013. A total of 9.64 million tonnes of vegetable was harvested, 2.6% up year-over-year. KYIV. Sept 29 (Interfax-Ukraine) – State-run Ukreximbank (Kyiv) has entered the Global Energy Efficiency Financing Alliance which unites 70 financial organizations from 20 countries. The bank said in a press release that the decision to create the alliance was made at the forum “Building a Global Energy Efficiency Financing Alliance” held on September 16 and September 17 in Istanbul (Turkey) under the aegis of the European Bank for Reconstruction and Development (EBRD) in partnership with the United Nations Environment Program Finance Initiative (UNEPFI). The alliance passed a joint declaration to enhance financing of investment in increasing energy efficiency and the development of sustainable energy. At the forum, Ukreximbank reached several agreements on further technical and consultation cooperation with the alliance members and on the mobilization of resources of international financial institutions and foreign banks to enhance financial support of medium and long-term Ukrainian investment projects in the sustainable energy sector. Board member Oleksandr Schur said that the bank plans to support hydrocarbon-free economic development jointly with alliance members. 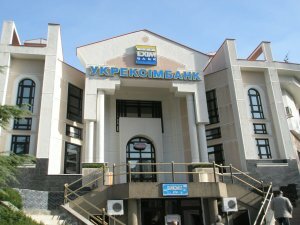 Ukreximbank was founded in 1992. Its sole owner is the state. The bank ranked third among 127 banks operating in the country on July 1, 2015 by total assets (UAH 144.551 billion), according to the National Bank of Ukraine. KYIV. Sept 29 (Interfax-Ukraine) – The National Bank of Ukraine (NBU) has said that the Ukrainian parliament should quickly pass a draft law on amendments to some Ukrainian laws on the creation and retaining the credit register of the NBU (No. 3111), the NBU said in a press release. 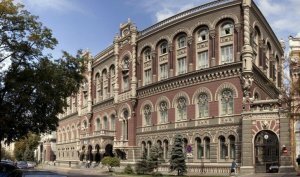 “The necessity of keeping the credit register of the NBU is linked to two requirements of today. 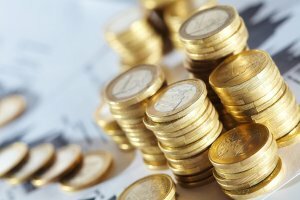 First, in the conditions of the transformation of the Ukrainian banking sector there is a necessity of improving instruments of bank supervision to reduce credit risks, provide for security of bank transactions, protect the interests of depositors and other creditors of banks and increase stability of the banking system. Secondly, the creation of the credit register is Ukraine’s liability under the memorandum on the economic and financial policy signed as a part of the Extended Fund Facility (EFF) with the IMF,” the press service of the central bank said, citing First Deputy NBU Governor Oleksandr Pysaruk. According to the report, the creation of the credit register is linked to the tasks of monitoring the concentration of the credit risk, including increasing the monitoring of large business groups. Pysaruk said that credit registers are widely spread in developed countries with effective market economies and banking systems, where they are the indicative instrument during the preliminary assessment of bank risks. Most countries have public credit registers, and private credit history bureaus also function. KYIV. Sept 28 (Interfax-Ukraine) – Some international investors have shown their interest in Ukraine but they expect the business sector to require further reforms, ICU Group (Kyiv) Managing Director Makar Paseniuk has said. “There is interest in investing into Ukraine. At present, we’re holding talks with 10 private equity funds – it concerns over $1 billion. They are looking for investment opportunities in the country. There are also several strategic investors,” he said at the Odesa Financial Forum on Thursday. Paseniuk said that the main problem the funds face is the absence of facilities for investment. “Without an additional driver from the Ukrainian government we have few facilities for investment,” he said. Paseniuk said that the real reloading of the economy is required to the launch investment process in Ukraine and a government strategy which foresees changes to the conditions and approaches to doing business is required. In addition, he said that a government strategy on the creation of a transparent mechanism for liquidating assets in the banking system, and an effective law on bankruptcy, must be drawn up within three years. ODESA. Sept 28 (Interfax-Ukraine) – Nomura International analyst Timothy Ash has predicted that the macroeconomic situation in Ukraine will stabilize in 2016. “Our expectations on macroeconomic stabilization have come true. Despite the large deficit of the budget, the balance of solvency is becoming stable, outflow of capital fell, payments are settled and stabilization is growing,” he said at the Odesa Financial Forum on Thursday. He said that the improvement of investment climate in Ukraine is only possible thanks to the fight against corruption. “Ukraine is very attractive for investors with cheap workforce. In addition, there is large potential in agriculture and metal sector. There is a large potential interest of investors to Ukraine. When peace is seen, you’ll be surprised how quickly money will come here,” Ash said. He added that the end of the military conflict in Donbas, political stability and successful reforms would allow Ukraine to achieve economic growth of 2-3% a year, and in the ten-year outlook the country has a chance of becoming a full and valued member of the European Union. Chairman of Corporate and Investment Business at BNP Paribas in Ukraine and Kazakhstan Dominique Menu said that large international financial aid weakens the internal financial market. “Maybe, the situation should be transformed into investment funds and creation of new jobs. The aid of the IMF is a rescue raft. Mechanisms for attracting foreign investors should be created,” he said.